Franklin Police are giving teens the opportunity to see a little bit of what life behind the badge looks like. 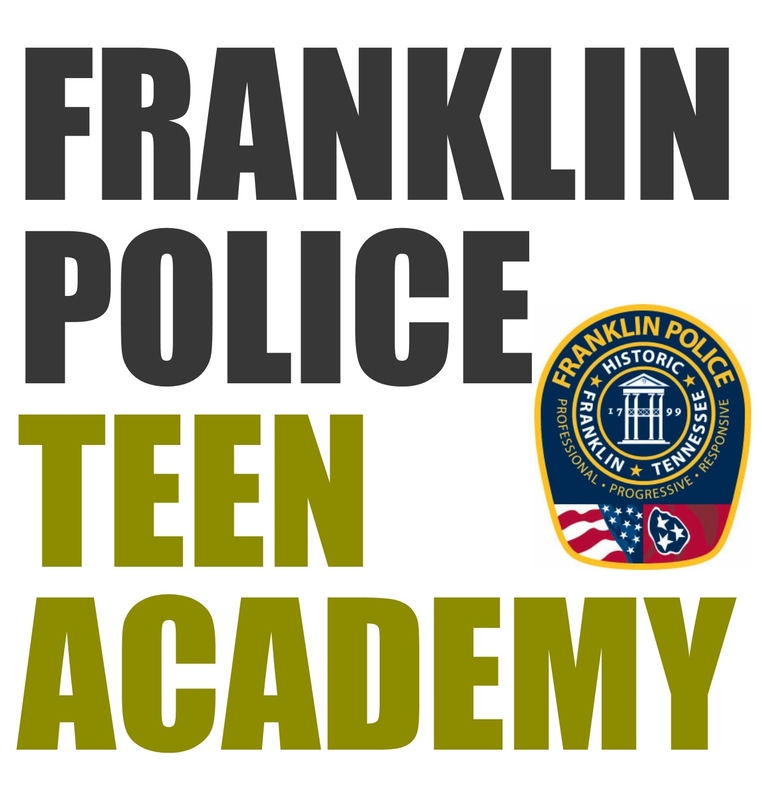 The new program, exclusively for Franklin Teens, gives young people the opportunity to run police radar, process mock crime scenes, and see up-close demonstrations by FPD’s special units, like SWAT and K9. The series of four classes runs from 10am-12:30pm on August 3, 4, 5, and 6. Each session includes lunch, and applicants must commit to attending all four. The free program is open to teens, between 14 and 17, who live in Franklin. To apply, just download, print, and return the application and parental waiver to ryan.schuman@franklintn.gov, or drop it off in person at Police Headquarters. The deadline to apply is 5pm on Friday, July 17. Seats are limited, and applications are accepted on a first-come, first-serve basis. Do you have a series of sessions for adults like the Chattanooga PD has? Can’t remember what it is called.